During the days of Jahiliyyah, there was a righteous preacher by the name of Qus bin Sa`ida al-Iyadi. Qus was the chief of his tribe, and he was either a Christian or a Haneef. He was the first Arab to use the phrase “amma ba`d” (as for what comes after this), which became enshrined in our Friday sermons. and whosoever is gone shall never return. – an elevated ceiling, and a spanned cradle. The stars pass and the night turns. The seas of water subside. Qus swears that this is not play, but rather, there is something astonishing behind it. I see people leave and not return. or left to and slept in? Qus foretold the coming of the Prophet (Sallallahu Alayhi Wasallam). Unfortunately, he died [around] 10 years before the first revelation. But his tribe accepted the Prophet unanimously. In Ibn Kathir, it is reported that the Prophet (Sallallahu Alayhi Wasallam) said that he will be raised as his own nation on the Day of Resurrection. 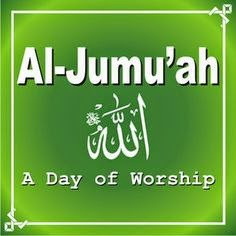 Rasulallah (Sallallaahu Alaihi Wasallam) said: “On the day of Jummah, the angels stand at the entrance of that Masjid in which Jummah salaat is to be offered. They write down the name of the person who enters the Masjid first, and thereafter the name of the person who follows, and they continue doing this. The person who entered first will receive the reward of sacrificing a camel in the path of Allah; the one who followed him will get the reward of sacrificing a cow, thereafter a chicken, thereafter the reward of giving an egg as charity in the path of Allah. 8. One should listen very attentively to the khutba even if one does not understand. One should not speak or even warn another to keep quite while the khutba is in progress. 12. When Rasulullah (Sallallaahu Alaihi Wasallam) name is mentioned in the khutba then it is permissible to recite durood in the heart only without the movement of the lips or tongue. The scholars said that what is meant by his being forgiven between the two Jummah and three more days is that a good deed is worth ten like it, so he will be rewarded with ten rewards for each of the good deeds that he did on Friday. Some of our companions said: What is meant by what is between the two Jummah is from Jummah prayer and the khutbah until the same time on the following Friday, so that it will be seven days, no more and no less, then three days are added making ten in all. 21. Coming early to Jummah brings a great reward. 22. If a person walks to Jummah prayer, for every step he will have the reward of fasting and praying qiyaam for one year. What we have quoted, when taken all together, indicates that the expiation of sins from one Friday to the next is subject to all the conditions mentioned above being met, namely doing Ghusl, cleaning oneself, putting on perfume, wearing one’s best clothes, walking in a calm and dignified manner, not stepping over people, not pushing between two people, not offending others, praying nafil prayers, listening attentively and avoiding idle speech.